It’s time. You’ve found the one who completes you in every way and you’re ready to start the rest of your lives together. You both deserve a special getaway and the absolute perfect setting to start your happily ever after. Our 500-acre working cattle ranch provides a plethora of these perfect settings, it really just depends on what the two of you love. Whether you see yourselves out in the open amongst the trees, meadows, or lake, or in front of the fire or in a hot tub, BlissWood Bed & Breakfast Ranch has everything you need. 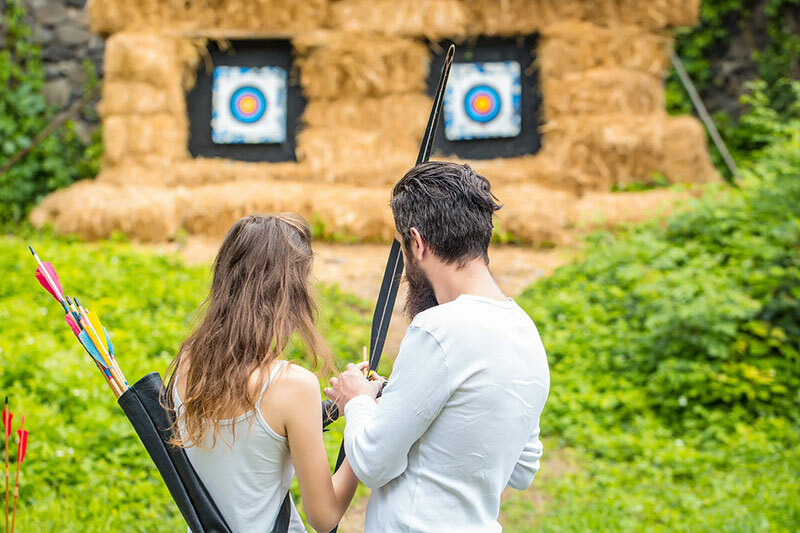 You’ll have the privacy, atmosphere, and all the special details, from a chilled bottle of Champagne to animals or even bows and arrows, to make yours the perfect Texas marriage proposal. So choose your engagement adventure, pack your bags (don’t forget the ring! ), and we’ll take care of the rest. 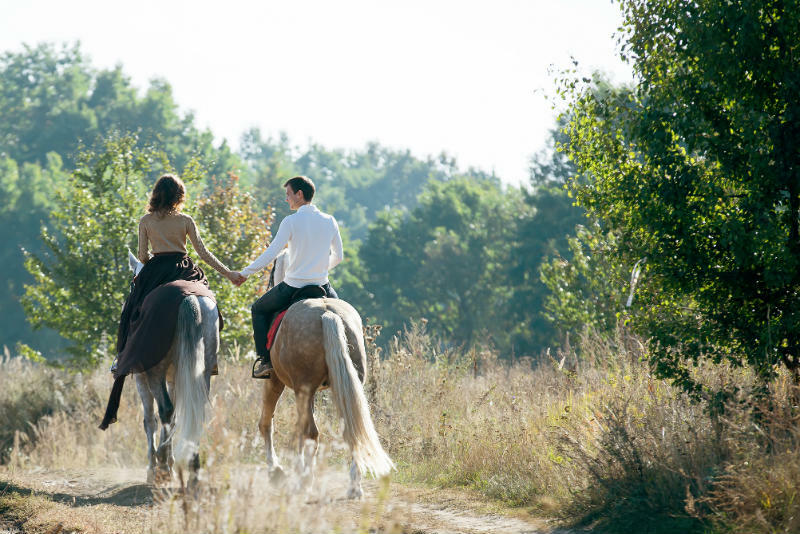 If you and your partner are horse lovers, there is no better way to “yes” than with a romantic horseback ride at sunset. The mood will be set while you explore our sprawling ranch and take in the picturesque vistas on your trusty steed. When the moment is right and you’ve found the perfect spot, surprise her with a gourmet picnic and that one question you’ve been dying to ask her… Your happily after awaits! Looking to add even more thrill to the biggest day of your life? We thought you might. Seeing as we often host outdoor enthusiasts, sporty and adventure travelers, we know a thing or two about fun and games. Why not add a little friendly competition to the marriage proposal? Maybe try your hand at archery, trap shooting, or bass fishing in our stocked lakes, the perfect setting to get your big catch. Regardless of who “wins,” this Texas-style proposal is sure to hit the bulls-eye. While we are a one-stop shop when it comes to outdoor adventures, activities, and games, our indoor options create effortless romance and intimacy. Settle into your private cabin, maybe set the mood and take the edge off with an in-room couples massage, have your decadent dinner delivered and toast to your love over a bottle of wine, either by the fire or in your own hot tub. With every romantic box checked, all that’s left to say is, “will you marry me?” That, and the heartfelt “YES!” that follows. Or take all the work out of planning and choose one of our perfectly tailored Texas proposal packages. 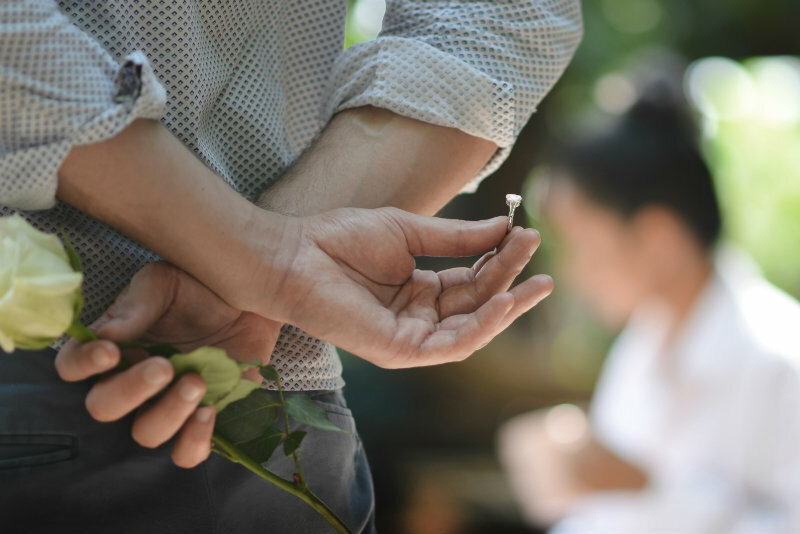 Whether you’re visiting for the day, or staying with us overnight for a romantic getaway in Texas, we can help you create a memory to last a lifetime when you ask the one you love to marry you. Create a keepsake of this most special occasion with a professional photography package by Pulitzer Prize-winning photographer Skeeter Hagler. Our Texas ranch provides a variety of photogenic backdrops for gorgeous engagement photos. 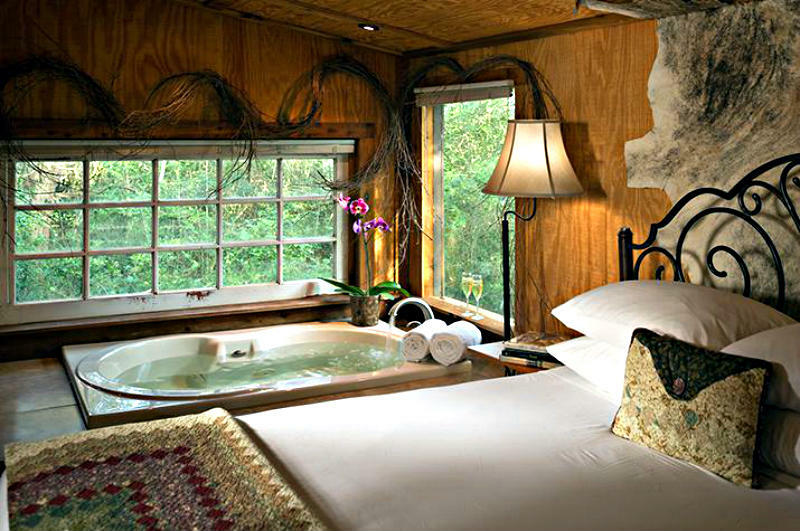 Book your stay today and start the adventure of a lifetime with your true love! Oh, and feel free to return to tie the knot where it all began.